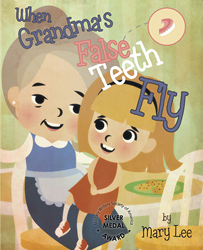 Recent release “When Grandma's False Teeth Fly” from Page Publishing author Mary Lee is a highly vivid book about little girl Katie’s growing up and accepting herself with the help of her grandmother. Mary Lee, an award-winning author and passionate writer, as well as a retired Air Force master sergeant, has completed her new book “When Grandma's False Teeth Fly”: a well-crafted illustrated book about the hilarious circumstances of Katie’s grandmother while teaching her the value of finding joy instead of sadness in dealing with life’s taunting moments. Published by New York City-based Page Publishing, Mary Lee’s artistic masterpiece, chosen as a Silver Medal Winner by the Military Writers Society of America (MWSA), overflows with touching and amusing events that inspire positivity and enjoyment. Readers who wish to experience this vibrant work can purchase “When Grandma's False Teeth Fly” at bookstores everywhere, or online at the Apple iTunes store, Amazon, Google Play, or Barnes and Noble.